WE CLEAN TO AS GOOD AS NEW! 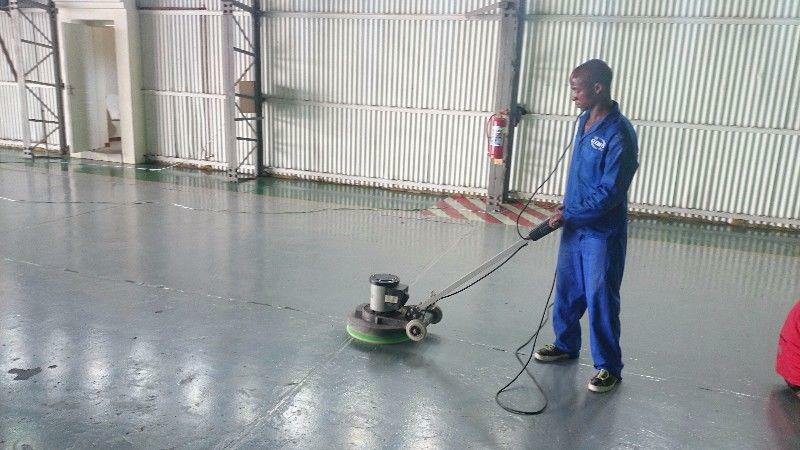 • Office maintenance (cleaning) services: let us manage all your office cleaning requirements from supplying cleaning staff to chemicals consumables and washroom supplies. 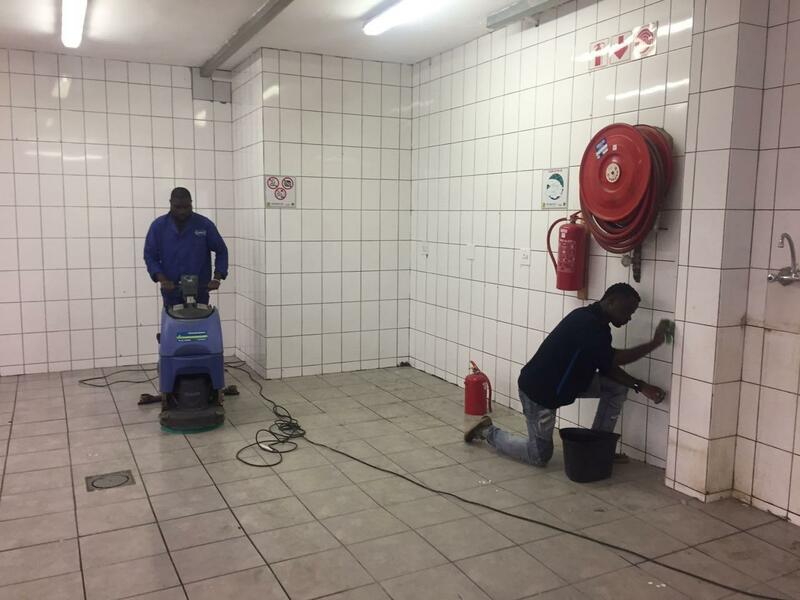 •	Odour control specialist: Treatment of unpleasant carpet, toilet or urinal odour. •	Flood damage: In the event of accidents involving flooding at home or at the office, we are able to remedy the damage caused by such. •	Window cleaning: Our modern equipment allows us to provide a professional and safe way to clean out of reach windows. 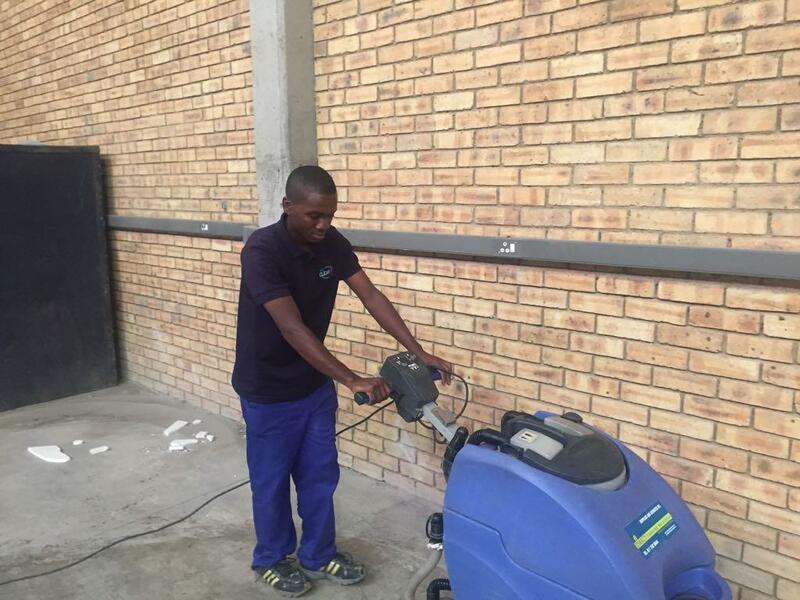 •	Floor cleaning with Auto Scrubber: Exterior and interior washing of floors such as tiles, concrete and bricks. •	Facility Management: We have the knowledge and equipment to clean and manage any facility; from cleaning escalarators, lifts, brick, paving ,warehouse cleaning.